On January 20, US President Donald Trump promulgated that his administration would follow “two simple rules: buy American and hire American.” But if you stop by Trump Tower in New York to snag a souvenir coffee mug of the First Family posing in front of the White House, you’ll be buying a product made in Thailand. 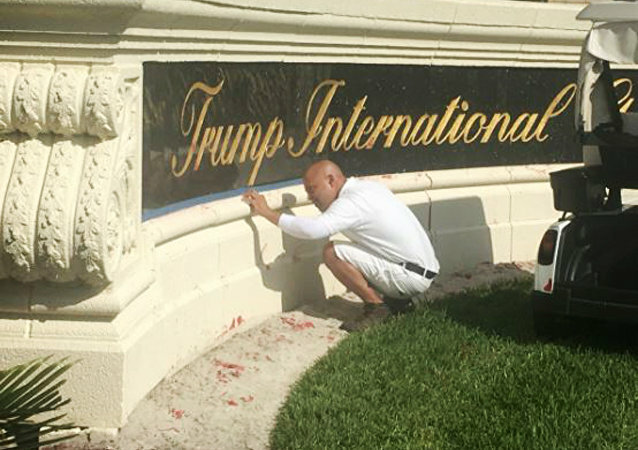 Donald Trump has been losing business contracts left and right following his controversial remarks about immigrants. But tensions are also running high at the construction site of Trump’s latest luxury hotel in the US capital, where immigrant workers, disgusted by the presidential candidate’s comments, quietly toil away.